Innovation, performance and integrity – construction with a difference. Our new generation approach to construction, alongside our desire to outperform others and change the way construction is shaped, is what we believe sets us apart. By moving away from a traditional ‘main-contractor’ approach, we consistently achieve success in our projects through our strong working relationships with clients, consultants and subcontractors. Attention to detail and a heavy focus on planning and health and safety ensures timelines are continually met without compromise to quality or budget. Our aim and vision is to plan, manage and construct commercial and residential projects to a world-class level by combining our collective skills and international influences which allow us to be a client focussed and innovative construction firm, all while staying true to our core values. We would appreciate the opportunity to meet with you for an initial consultation to discuss your next construction project. Paul has spent over a decade working in the construction industry, specialising particularly in quantity surveying and project management. Returning home to Tauranga after roles in Auckland and London, Paul decided to put his leadership skills and client focus to work in his own business – iLine Construction. Paul saw an opportunity for a construction firm that would give more guidance and consultation at the crucial design and cost management phases of a project. iLine Construction now has an impressive record of projects where value is added well beyond simple contracting. 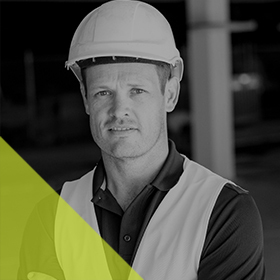 Elton has built a successful career in the construction industry with a strong focus on site and project management. 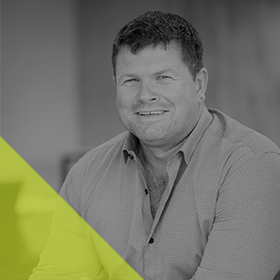 His background includes completing a rigorous four year cadetship with a large, Auckland based contractor and almost two decades of experience both within New Zealand and internationally, where he gained an impressive portfolio of experience in design and build projects.